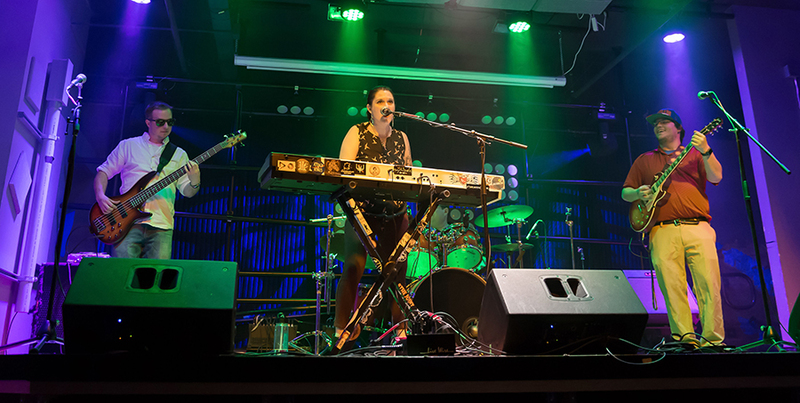 Amy and the Peace Pipes is a pop rock/reggae woman-led band from Fort Collins. The band focuses on making music about positivity, celebrating life even when life is hard, and smiling til your cheeks hurt. Don’t be surprised when Amy’s heartfelt lyrics and captivating vocals leave you wanting more. Since their formation, Amy and the Peace Pipes has established themselves throughout northern Colorado, playing shows across the front range. In fall of 2018, the band released Eden’s Favorite Apple, their first full-length album release, following up on their self-titled EP released in 2015, and their “Burning Bridges” single released in 2017. The sophomore CD represents the band solidifying it’s unique piano-rock/reggae/alternative sound while promoting the realization of inner-beauty, self-worth, conquering adversity and embracing the optimism that lies in the unknown.